A recent article in Claims Magazine discusses the “Human Capital Impact of Using Predictive Models.” The article, written by the presented by consultants in the Actuarial, Risk & Analytics practice of Deloitte Consulting, discuss what it means to the claims professionals and suggests methods for implementing a Claims Predictive Model. 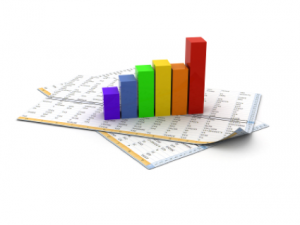 What Is Claims Predictive Modeling? Claims Predictive Modeling (CPM) is one of the big buzz words in the industry. After a few decades of improving claims technology systems and creating vast databases of claims information, CPM is an attempt to use that information more effectively. It is an attempt, as the article infers, to provide better information to the claims handler to let them use their skills to make better decisions, apply resources more effectively and really allow claims departments to do more with less. “Leveraged effectively at first notice of injury or loss (FNOI/L) and throughout the lifetime of the claim, advanced analytics can have an impact on various aspects of the claims lifecycle: claims assignment, special investigative unit (SIU) referral, medical case management, litigation, subrogation, escalation and, ultimately, claims settlement and outcome. No who wouldn’t want to have a positive impact on claims settlements and outcomes? Claims professionals are a rightfully proud group. We have always taken on the role of analyst and investigator and understand that there are nuisances in claims that a computer can’t possibly see. We live in the world that handling claims is a science and an art that requires a combination of elements and not just data on a spreadsheet. CPM and other tools are inherently perceived as a threat to the professional as another way to diminish our skilled judgment. We point to years of decreasing staff and being asked to do more with less as evidence of the erosion of our profession. Unfortunately, as the industry continues to struggle attracting new qualified staff, there may be some truth to these perceptions that the profession is under attack. Regardless, we are an industry that needs to embrace and welcome new technology. CPM is not a means to further refine the profession to the point of not needing a true skilled professional. The tool is designed to highlight claims with greater risks and focus the claims handler’s attention to where it is best served. While the statistics vary slightly from company to company it is fairly well understood that 10-20% of claims volume make up 70-80% of a typical companies claim dollars. Ensuring that those claims are most effectively handled quickly is one of the best ways to manage loss and expense costs. And these same data analytics will also help to manage the high volume of matters that make up the remaining matters. These issues are excellent suggestions no matter what type of change is being implemented. The bottom line is people need to be engaged when change is being implemented. When people perceive their jobs are being threatened they get defensive so it is important to help make the transition easier by being open. Regardless, times are changing and we as claims professionals need to adopt. How Do You Think New Modeling Metrics Will Change Claims? Tagged with Change Management, Claims Management, Claims Predictive Modeling, Innovation. What is the best way to capture, manage and effectively utilize the claims data that is being collected?